When Jethro Tull’s iconic singer/songwriter/flutist, et al, Ian Anderson set out to record this album, it was intended to be his first solo project. Why the man in charge of one of the finest collection of musicians in the 1970s would need a solo outlet is a perplexing question. Perhaps he just wanted to work with a few other musicians and try a more modern sound than the three previous Tull classics (Songs from the Wood, Heavy Horses and Stormwatch), which drew heavily from the folk traditions of England, Ireland and Scotland. The record label argued for releasing it under the Jethro Tull moniker, leading to the unplanned bumping of several superior musicians (most notably, drummer Barriemore Barlow). This lineup survived on tour, as it was never intended to be Jethro Tull in the first place. Lyrically, Anderson’s themes are a bit more contemporary; even futuristic. Musically, Anderson retained his guitarist foil of the previous decade in Tull’s Martin Barre. If going forward was the goal, Fairport Convention’s Dave Pegg was an odd choice for a bassist. 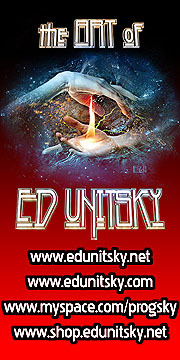 The inclusion of Eddie Jobson (Curved Air/Roxy Music/UK/Zappa) on keyboards and electric violin has the most impact on the overall change in sound. Alas, Jobson had only committed to the album and tour and went on to pursue solo work. Pegg stayed with Tull for the next 15 years, before refocusing his attention to Fairport Convention. 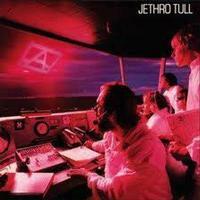 In any case, this was the second to the last truly great Tull album from start to finish. 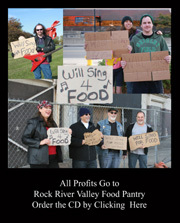 Any fan of the band should have a copy of it in their library. This number opened the show on the tour with a pompous synth in the vein of ELP before kicking in with a UK-sounding riff; hence, the credit of “Additional musical material” by Jobson. Jobson is truly in top form in this tune, mixing classical with a bit of honky-tonk piano seamlessly. The most traditional song here; this is an instrumental with lots of rapid fire flute, fiddle and mandolin, all toying with shifting time signatures. They include some blistering guitar soloing by Barre, just to remind you this is a rock band.